Give us a call to learn more about our industrial painting services. When you’re responsible for an industrial facility, you have a number of tasks on your to-do list. Building maintenance and upkeep may not be at the top of the priorities, but these aspects of building management and ownership are critical in ensuring that your building looks appealing, inviting, and well-kept. Over time, the paint on the interior and exterior walls can start to peel and fade, leaving behind a less-appealing space that can impact the overall perception of your business. If a customer notices that you aren’t taking care of the building in which you do business, they may question whether your company will provide a high level of service and meet their needs. Instead of ignoring a problem with your facility or trying to tackle a painting job yourself, allow our team of industrial painters at Prep-Rite Painting to handle the work. We offer industrial painting services for customers located throughout the Apex, North Carolina area. Our team is proud to offer high-quality interior and exterior painting services, ensuring that your facility is up to your customers’ standards. 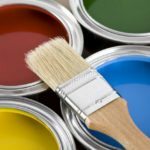 Our industrial painters work closely with clients in the Apex area on a regular basis, so we understand your unique needs and expectations. Painting can be a big job, especially when you have a large facility with production space or a massive warehouse. Our industrial painters up to the task and will make sure every square inch of the facility is properly painted to improve the appearance. Give us a call to learn more about our industrial painting services. At Prep-Rite Painting, our industrial painters proudly serve Apex, Cary, Holly Springs, Fuquay Varina, Chapel Hill, and Raleigh North Carolina.